The price of gold in Vietnam dropped by VND250,000 a tael (1.2 ounces) over the previous day on July 28 after the global price lost 1.7 percent. Saigon Jewelry Co. bought the metal at VND27.7 million and sold at VND27.77 million. 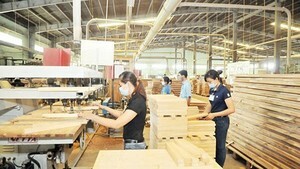 At Sacombank Jewelry Co., gold was bought at VND27.76 million and sold at VND27.8 million. However, the domestic price declined at a slower pace than global price. Domestically, bullion fetched VND650,000 higher than the global price. Gold traders said they expected that this sharp correction would boost buying demand and improve trading volume on the bullion market, which has been muted recently. However, buyers would likely remain cautious, as local prices are much higher than global prices, while global prices are expected to fall lower. On black market, dollars were traded up VND10-20 per dollar over yesterday. The dollar exchange rate was at VND19,210 for buying and VND19,230 for selling. Some commercial banks started to raise the dollar exchange rate. State-owned Vietcombank purchased dollars at VND19,095 and sold at VND19,100, up VND5 per dollar. Internationally, the precious metal fell to the lowest price in three months as global equities rallied, eroding the demand for the metal as an alternative asset. After broadcasting positive news for about 10 days, the US economy unexpectedly presented negative data. The country’s Commerce Department announced that consumer confidence fell to 50.4 this month from 54.3 in June, the lowest level since February. This drop was triggered by concerns over the US labor market. International investors worried that data on consumer confidence indicated a flagging outlook on the US economic growth, which tends to accompany low inflation, in the upcoming months. Gold is considered a hedge against inflation. Thus, speculation of low inflation is usually unfavorable for the metal. In addition, gold August-delivery contracts on New York Mercantile Exchange expired yesterday. Investors sold those contracts heavily before expiration, creating debasement pressure on the precious metal. SPDR Gold Trust, the largest exchange-traded funds backed by bullion, sold 0.9 metric tons of gold yesterday, sending its holdings to 1,300.8 metric tons. The company has dumped 18.7 metric tons this month. Gold in British pounds and euros also severely declined yesterday. Analysts said the metal lost an important support level of $1,176 an ounce and would probably retreat to $1,000 an ounce. 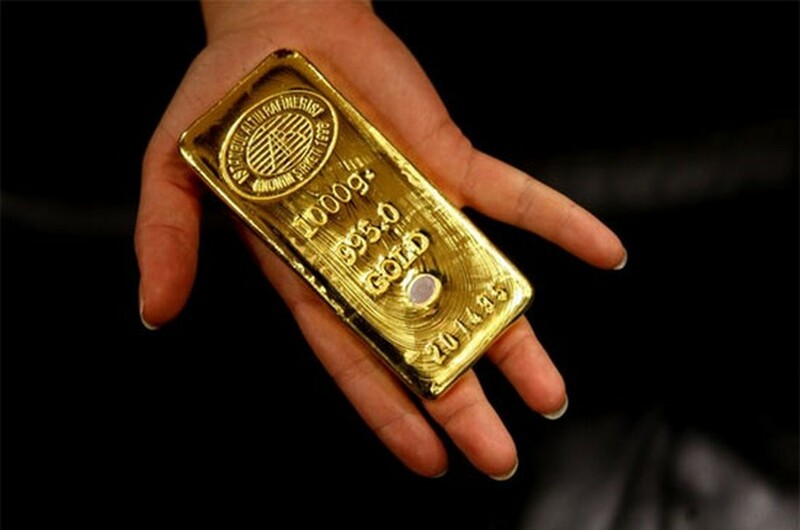 Gold for immediate delivery edged down US$20.5 an ounce, or 1.7 percent, to close at $1,162.6. Earlier, the metal plunged to $1,157 an ounce, the lowest level since May 5. In Asia, bullion slightly revised to nearly $1,165 an ounce this morning, thanks to investors’ buying at low price range. The euro exchange rate against the US dollar was at $1.3 a euro in New York yesterday. Crude oil futures for September delivery erased $1.48 a barrel, or 1.9 percent, to close at $77.5 a barrel. This morning, the liquid continued to drop to below $77 a barrel, affected by negative data on consumer confidence.